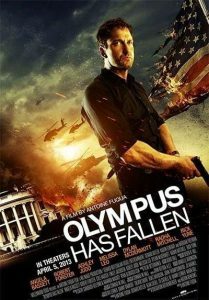 Here is the new 1st trailer for ‘Olympus Has Fallen‘, which looks pretty intense. We have talked about this movie before and marks one of several films dealing with an elite team taking down terrorists at the White House. Antoine Fuqua will be directing the film, which he is known for making ‘Training Day‘. The trailer itself looks good and stars Gerard Butler, Aaron Eckhart, Morgan Freeman, Angela Bassett, Dylan McDermott, Ashley Judd, Melissa Leo, and Rick Yune. Hell of a cast if you ask me. Official Synopsis: When the White House (Secret Service Code: “Olympus”) is captured by a terrorist mastermind and the President is kidnapped, disgraced former Presidential guard Mike Banning finds himself trapped within the building. As our national security team scrambles to respond, they are forced to rely on Banning’s inside knowledge to help retake the White House, save the President, and avert an even bigger disaster. Enjoy the trailer. Or CLICK HERE for the trailer in GLORIOUS QUICKTIME! ‘London Has Fallen’ Trailer Is Here! Check Out The ‘London Has Fallen’ Trailer!!! This entry was posted on Tuesday, January 22nd, 2013 at 3:12 pm	and is filed under Film, News. You can follow any responses to this entry through the RSS 2.0 feed. You can skip to the end and leave a response. Pinging is currently not allowed. « ‘Iron Man 3’ Will Get the IMAX 3D Treatment! !